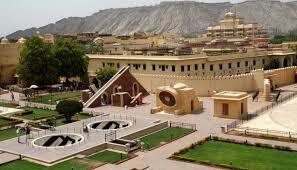 City of Dreams – Jaipur is the capital city of Rajasthan and the largest city in the state with a population of over 3.5 million. 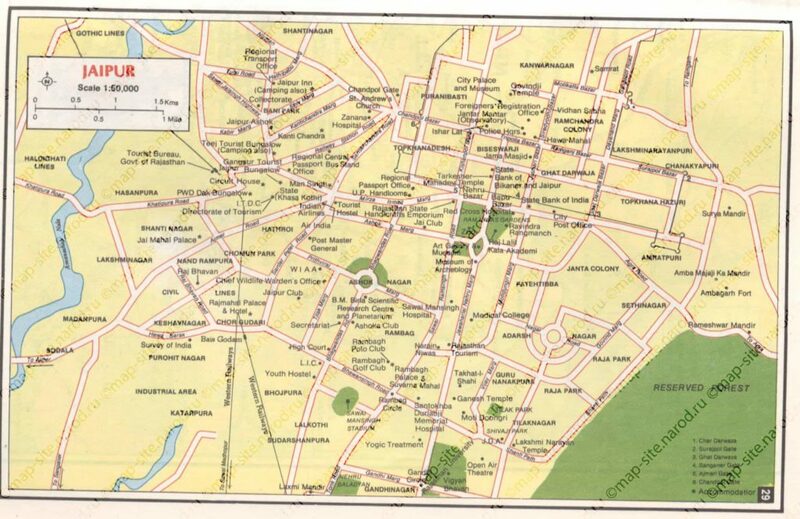 Built by Sawai Jai Singh, Jaipur was India’s first planned city. Known for its magnificent landscapes, marvellous flora and fauna, and picturesque views, Jaipur is merely a city of dreams. Similarly, the city is known for its intricate handicrafts and exquisite jewellery. 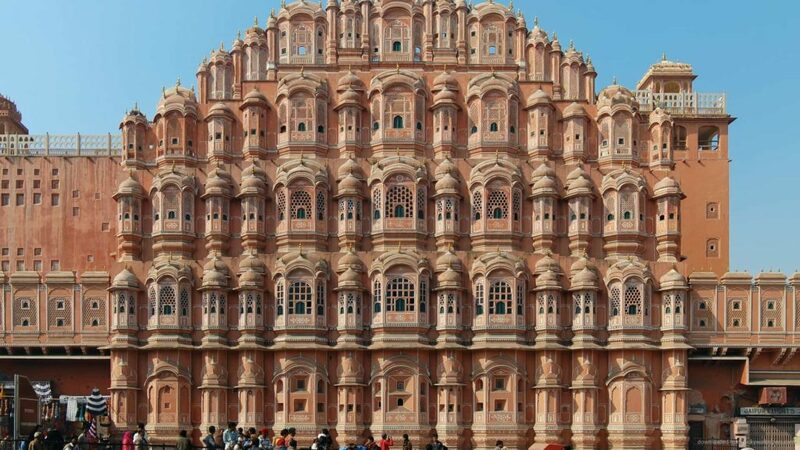 Known for its red and pink sandstone facade, the Hawa Mahal is the most well-known landmark. It dates back to 1799, and this landmark is accredited for its latticework. It is through this latticework that women could look at the events that were conducted on the streets below. A visit to the Jantar Mantar will take you to the world’s largest sundial in the world. It is a UNESCO World Heritage Site. This innovative architectural wonder combines ancient elements of astronomy to tell time and to predict the position of the sun, moon and stars. 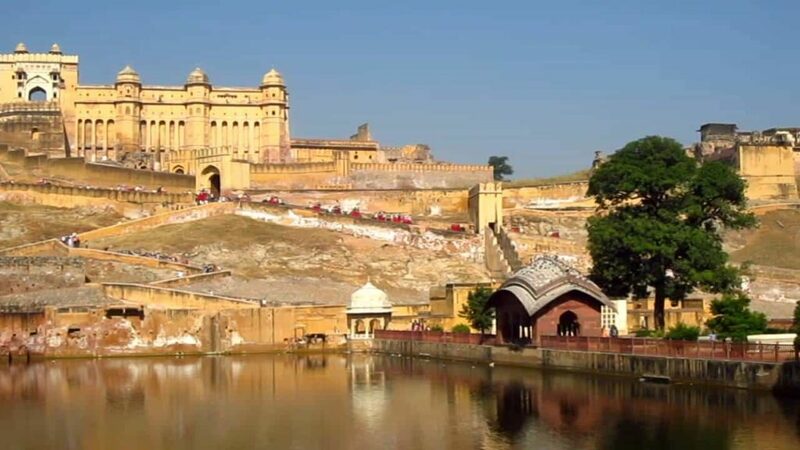 This iconic fort stands at the top of a hill with ramparts that lead to a gate. It is a representation of Hindu and Rajput styles that were constructed of white and red sandstone. The interiors of Amber Fort include opulent courtyards, palaces and temples. You will enjoy the Light and Sound Show with its spectacular display of history through theatre. 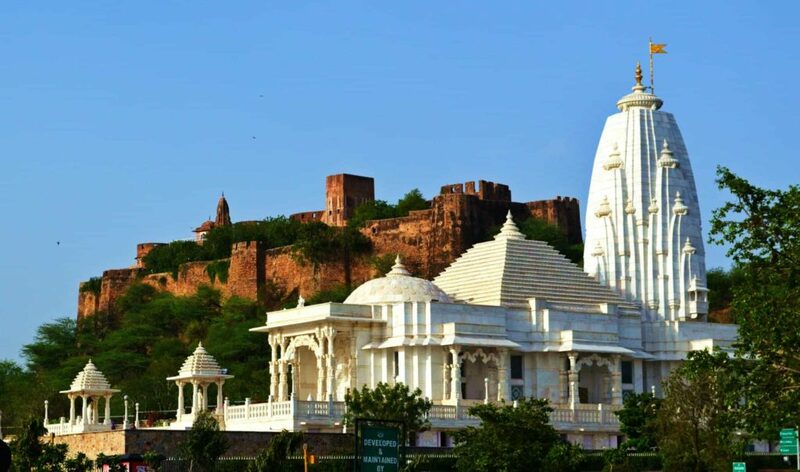 The Birla Mandir is a Hindu temple dedicated to Lord Vishnu and Goddess Lakshmi. It is also known as the Lakshmi Narayan Temple. The temple is built in white marble and has several pieces of beautiful architecture that look even more stunning at night. 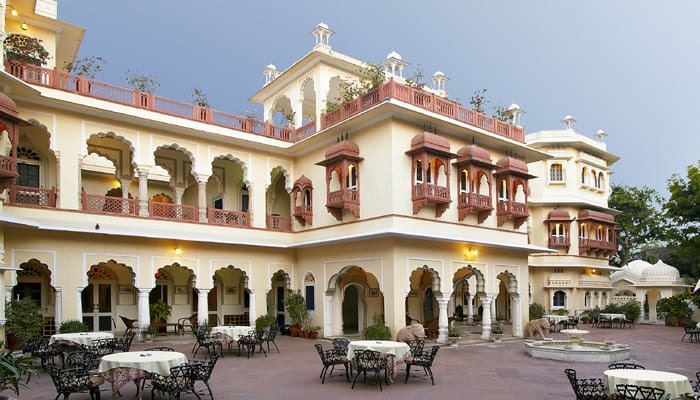 This one is the former residence of Shekhawat Thakur or Noble and was converted into an alluring hotel 1994. It has been aesthetically redesigned to manage its designation in one of the best heritage and luxury hotels. If you are looking for an unmatched panoramic view of the city of Jaipur, then you must visit the Nahargarh Fort. This fort sits on the edge of the Aravalli Hills and dates back to 1734. It was a summer retreat of the royal family houses that elaborates living spaces including Madhavendra Bhawan that reflect its Indo-European architectural style. The Bawri-Stepwell is the biggest crowd puller at the fort. Shop till you drop at the Bapu Bazaar where you can find everything that your heart desires at the street market. It’s merely retail therapy for those that love Rajasthani handicrafts, textiles, silver jewellery, clothing and footwear. 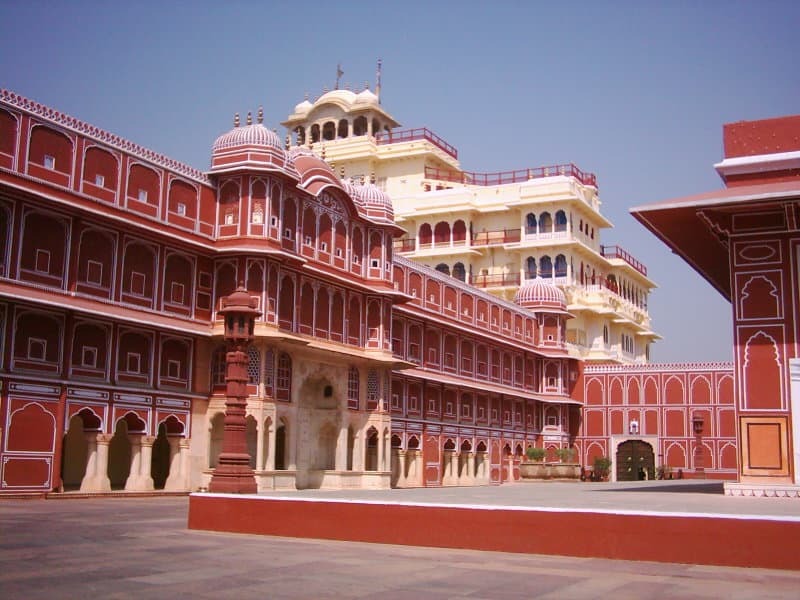 Built by Maharaja Sawai Jai Singh, the City Palace is situated in the heart of Jaipur. Within the sprawling palace complex lie historical buildings like Mubarak Mahal, Diwan-i-Khas, Diwan-i-Aam and Maharani Palace. Other places that you can visit in the City Palace are the Govindjee Temple and Chandra Mahal. 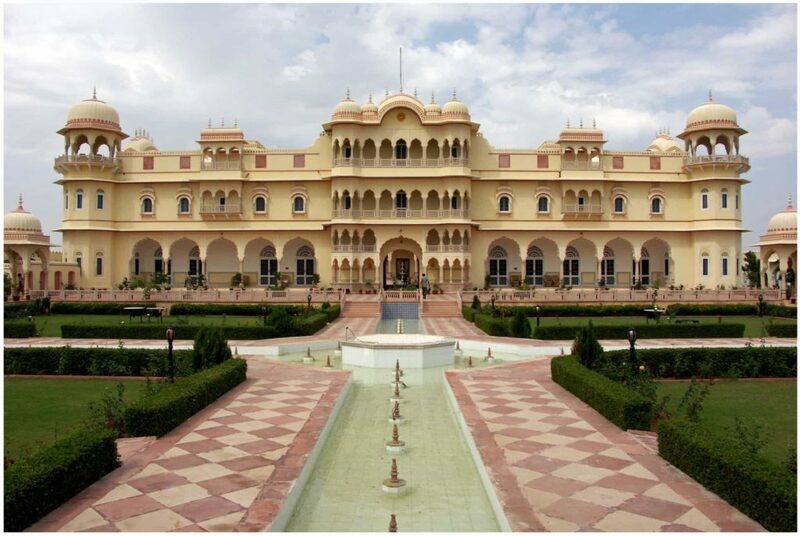 The Chandra Mahal still serves as the royal residence family of Jaipur and part of it is open to the public. Rajasthan’s state museum, the Albert Hall Museum was named after King Edward VII. Showcased within its interiors are historical artefacts, intricate armoury, royal costumes and works of art in stone, ivory and metal. To enjoy the city like a local, walk down MI Road and experience Jaipur at its finest. The road is lined with an assortment of stores and restaurants that are unique to the city. You will be spoilt for choice with some of Rajasthani cuisine like dal batichurma, laal maas, kachoris or ghevar. Surrounded by water bodies, Sisodia Rani ka Bagh is a multi-tiered garden with decorated pavilions that portray Radha and Krishna. This unique and serene surrounding is perfect for a long stroll and a relaxing evening. Jaipur will leave you gasping for more as the city grows on you. It’s merely the city of dreams and one that would be etched in fond memory. If your next holiday is in Jaipur, then you must head to the Four Points by Sheraton for a vacation like no other. On an Etihad flight, you can fly into Delhi and take a domestic trip to the magical city of Jaipur.